Owen Humphreys – WPA Pool/Getty Images, SkitchPrince William has never worn a wedding ring. Meghan Markle and Prince Harry will wed on May 19 at St. George’s Chapel in Windsor. But Prince Harry may or may not choose to wear a wedding ring to symbolise the marriage. Prince William and Prince Philip have never worn wedding bands. Conventional marriage rules need not apply to the royal family. 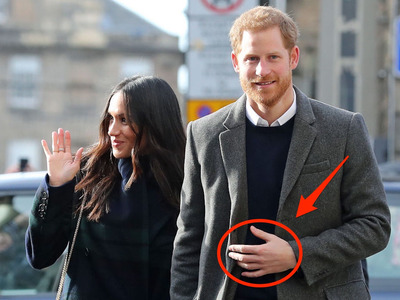 Prince Harry will wed Meghan Markle on May 19 at St. George’s Chapel in Windsor, but if he’s anything like his brother or grandfather, he’ll eschew one universal marriage tradition: wearing a wedding band. Despite his near six-year union, Prince William has never worn a wedding ring to symbolise his marriage to Kate Middleton. Prince William apparently “isn’t one for jewellery,” much like his grandfather Prince Philip, who’s been married to the Queen of England for nearly 70 years and doesn’t sport a wedding band. Indeed, it seems as though opting out is a matter of personal preference rather than royal family folklore. Prince Charles, William and Harry’s father, wore a ring throughout his marriage to Princess Diana and wears one now in his second marriage to Camilla – albeit on his pinky finger rather than left-hand ring finger. In November, Prince Harry proposed to Markle with a show-stopping three-carat diamond ring – complete with stones from Princess Diana’s collection – that’s estimated to be worth up to $US1 million (though the retail value is likely closer to $US50,000). Markle is expected to wear that ring, as well as a wedding band she’ll receive at the ceremony, to represent their royal union. Markle and Prince Harry’s whirlwind romance and wedding plans have already proved a break from tradition, so whichever decision he makes likely won’t come as a shock. And Middleton and Prince William have done a good job of setting a precedent as far as modern royal couples go. “Kate omitted the word ‘obey’ in her wedding vows, and William has opted not to wear a ring, which makes them like many millennial couples – intent on doing things their way,” Diane Clehane, author of “Imagining Diana,” said in Vogue.